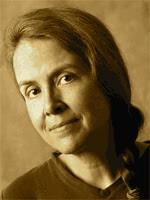 A Year of Being Here: Naomi Shihab Nye: "Daily"
"Daily" by Naomi Shihab Nye, from The Words Under the Words: Selected Poems. © Eighth Mountain Press, 1994. Art credit: Detail from photograph of crispy tortilla chips, likely by amanda (originally color).